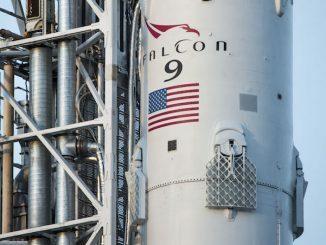 The U.S. Air Force says the demonstration of an automated safety system on last week’s Falcon 9 rocket launch will slash and costs and hasten turnarounds between missions from military-operated ranges in Florida and California. The on-board safety system, relying on Global Positioning System satellite navigation data, replaces decades-old radars and tracking equipment that required military officers to manually send commands to destroy errant boosters, and their human and robot passengers, before they could threaten people and property. The switch will save millions of dollars in infrastructure costs and allow for more launches from Air Force-run ranges at Cape Canaveral and Vandenberg Air Force Base, officials said. The Autonomous Flight Safety System, which previously flew in a “shadow” backup mode for several launches, was the prime destruct mechanism for the first time on the Feb. 19 launch of SpaceX’s Falcon 9 rocket from pad 39A at NASA’s Kennedy Space Center. Like the manual flight termination system used since the dawn of the Space Age, the on-board safety computer tracks the trajectory of the rocket, ensuring it remains within a predefined corridor and meets other parameters. With the previous safety system, a Mission Flight Control Officer on the ground in Florida or California would issue the command activate pyrotechnic charges on the rocket if it strayed off course. In the case of the automated safety system, the command comes from a computer aboard the rocket. The military is still responsible for other support functions for launches from Florida and California, such as weather monitoring, maritime and airspace patrols, and base security. At launch pad 39A, which lies on Kennedy Space Center property, NASA also supports SpaceX missions. 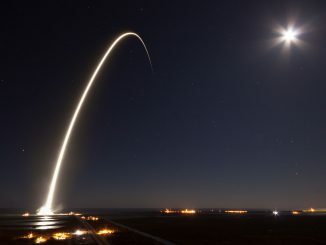 Other launch facilities operated by SpaceX and United Launch Alliance, which flies Atlas and Delta rockets, are on Air Force property at Cape Canaveral Air Force Station and Vandenberg Air Force Base. Commercial launches from both coasts are licensed by the Federal Aviation Administration, which regulates the public safety aspects of rocket flights. The Autonomous Flight Safety System should also reduce the risk that ground equipment malfunctions will delay launches. ULA and SpaceX launches already rely on GPS satellites instead of ground-based C-band radars for tracking, even for the older manual flight termination system. Other benefits of the automated safety system include faster response times and improved monitoring as rockets fly downrange, providing over-the-horizon tracking capabilities not limited by line-of-sight tracking from instrumentation at the launch base, the Air Force said in a statement. The Air Force currently requires several days to reconfigure its ranges between Atlas, Delta and Falcon missions. 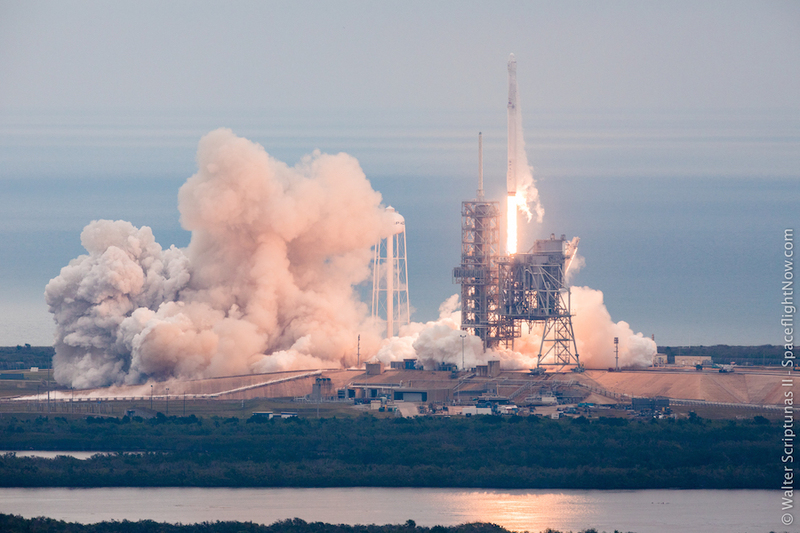 That turnaround time should be reduced with the introduction of auto-destruct mechanisms, according to Hans Koenigsmann, vice president of flight reliability at SpaceX. Same-day launches may be years away, but the Air Force said the Eastern Range at Cape Canaveral is aiming to be ready to accommodate as many as 48 launches a year by 2020. That’s around three times the number of annual launches the spaceport has hosted, on average, in recent years. Cape Canaveral hosted two launches in one day during the Gemini program of the 1960s, but instrumentation constraints have restricted launch rates over the last few decades. 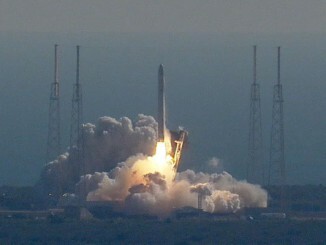 The auto-destruct system should also simplify range safety procedures for rockets returning to land at Cape Canaveral. SpaceX intends to land two strap-on boosters launched on the company’s huge triple-core Falcon Heavy rocket back in Florida simultaneously. A manual flight termination system could be overwhelmed in such a scenario. 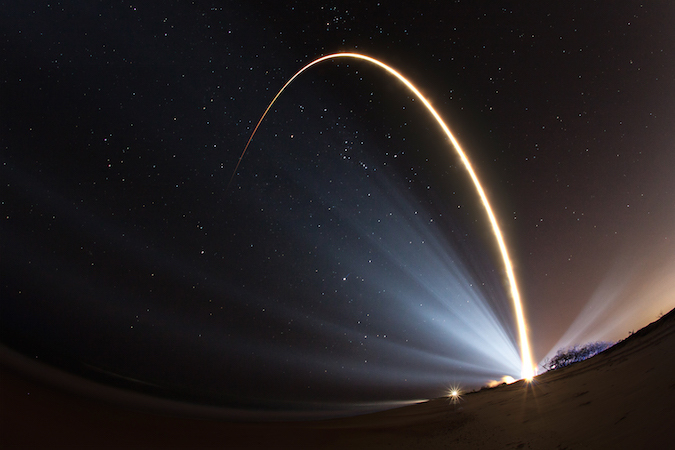 “This changes the expectation for legacy and new entrant companies of the space launch industry to implement AFSS at the earliest possible date,” the Air Force said in a statement. The Autonomous Flight Safety System could be on crewed flights as soon as next year as commercial companies begin launching astronauts to the International Space Station. The commercial crew missions will be launched under contract to NASA, which will certify the on-board termination computer for piloted flights if engineers are comfortable the system will not issue an inadvertent destruct command. Cabana, who piloted and commanded four space shuttle missions in the 1990s, joked about the relationship between astronauts and safety officers tasked with ordering the destruction of a failing rocket. The space shuttle had no launch escape rocket, and a termination command would have likely doomed the crew. “Prior to shuttle launches, we used to go visit the guys that sat on console that would push the button, and show them pictures of our kids and get to know them,” Cabana said. “But the truth is, with a human in the loop, if you’ve got an envelope that rocket is to remain within as it goes out over the ocean, (as) it is approaching the edge of that envelope, a human may terminate it when the system is actually correcting to get toward the center,” Cabana said. “An automated system, done correctly, it can iterate fast enough that the system sees that the guidance system is taking it back before it’s going to exceed that limit.